Debora M. Templeton, 84, of Bluffton, SC, passed away peacefully at her home on February 14th with her husband, Lee Templeton, at her side. Debora, also known as Debbie or Deb, was born to Eleanor and John Morris on April 13, 1934, in Shaker Heights, OH, but quickly moved to Lake Bluff, IL, before settling into the River Forest home she would grow up in with her sister, Sally, and brother, Mike. She attended Oak Park River Forest High School, graduation class of 1952, and earned a BA in English Literature from Bucknell University 1956. She was married to Lee Templeton, her ultimate soul-mate, for over twenty-four years of marriage after being introduced on a blind date arranged by Deb’s oldest son, Geoff Gailey, to attend a Tony n Tina’s Wedding performance in Chicago. The courtship that followed was a long-distance affair with Deb living on the island that she loved, Hilton Head, and Lee’s home base at the time was Hinsdale, IL. The couple soon exchanged wedding vows on April 16, 1994, and eventually built their dream home in Bluffton, SC. Deb was passionate about books, literature, and education. She taught English at several MD Catholic schools and at Wyalusing Valley High School. She served as the director of a children’s daycare in Camptown, PA, worked as a newspaper columnist, and also earned a real estate license before becoming a successful agent. 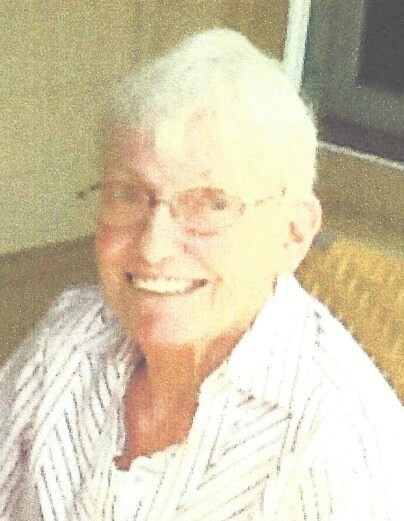 She enjoyed tennis and golf and was a member of the Sun City Red Hat Society. Deb’s spirit of kindness and generosity was displayed in her willingness to open up her home to foreign exchange students over the years from countries all around the world like Brazil, Turkey, Japan, Sweden, and the Netherlands. Deb is survived by her oldest son, Geoff Gailey (wife, Judy) daughter, Robin Gailey, and youngest son, Samuel Gailey (wife, Ayn). She has five grandchildren: Christina, Maxwell, Traci, Madison, and Gray. Deb also has two great-grandchildren: Jordan and Alayna. A funeral service will be held at 11:00 a.m., Friday, April 26, 2019 at Sauls Funeral Home, 90 Simmonsville Road, Bluffton, SC 29910. The committal will follow the service at Beaufort National Cemetery. There's still time to send flowers to the Funeral Service at the Sauls Funeral Home of Bluffton at 11:00 AM on April 26, 2019.